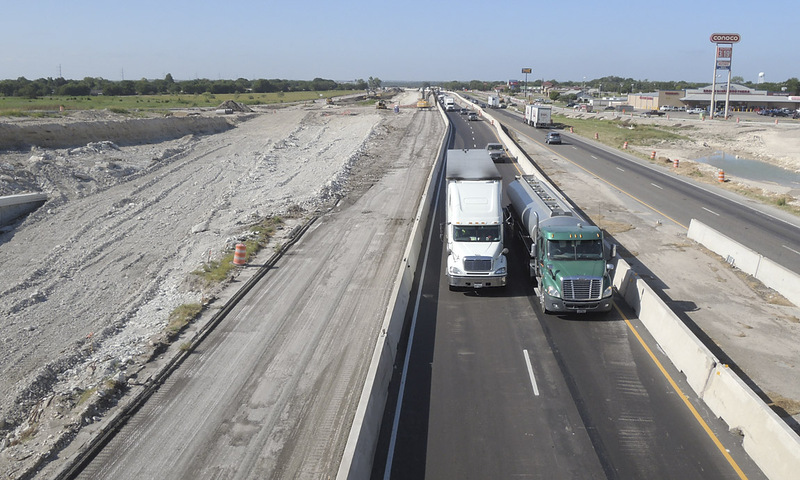 As of September 2014 there is about $1.1 billion in construction in progress on Interstate 35 in Central Texas, from south of Hillsboro to south of Temple at the Bell/Williamson county line. 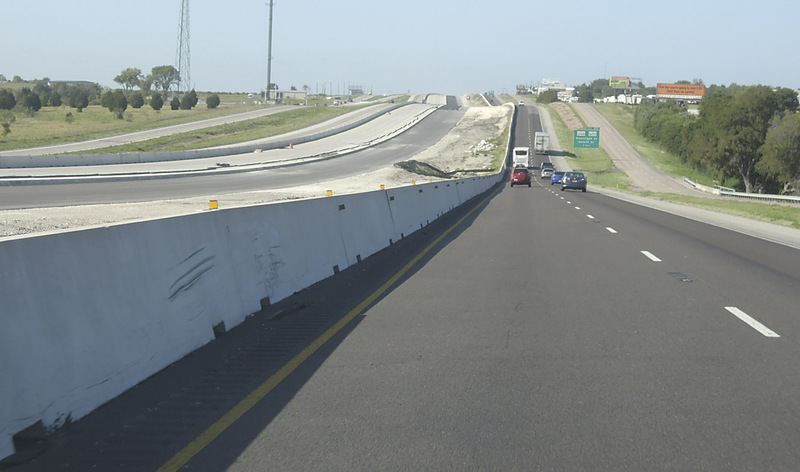 This is about 80 miles, most of which is under construciton except for the sections through Waco and south Temple. 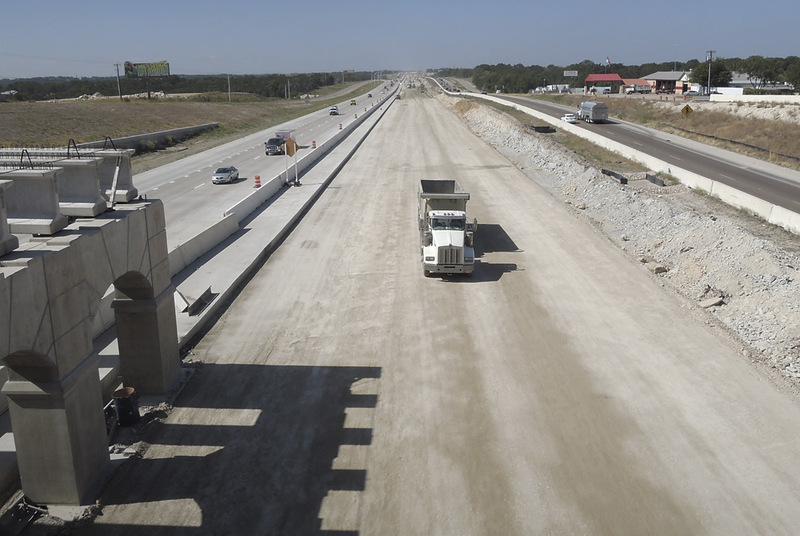 The interstate will have three lanes in each direction with a much wider right-of-way, and is designed to be easily expandable to four lanes each way. Here is a map of the work in progress. 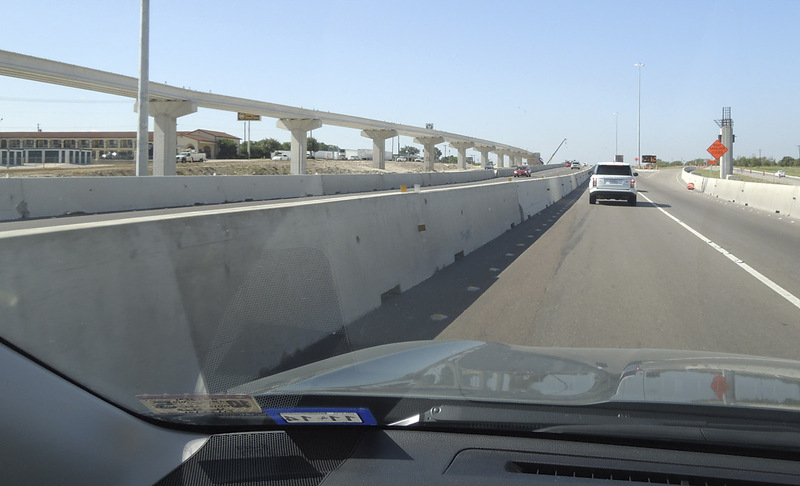 These photos proceed southbound through the contruction zone. At mile marker 357. 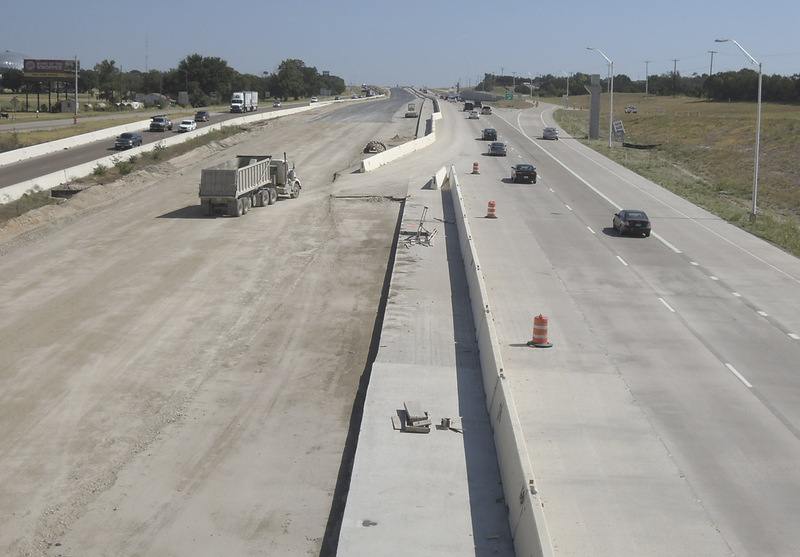 The new pavement for the northbound lanes is in place, and work is in progress on the southbound side on the right. South of West, approaching the exit for FM 2114. Construction is nearly complete at this location. 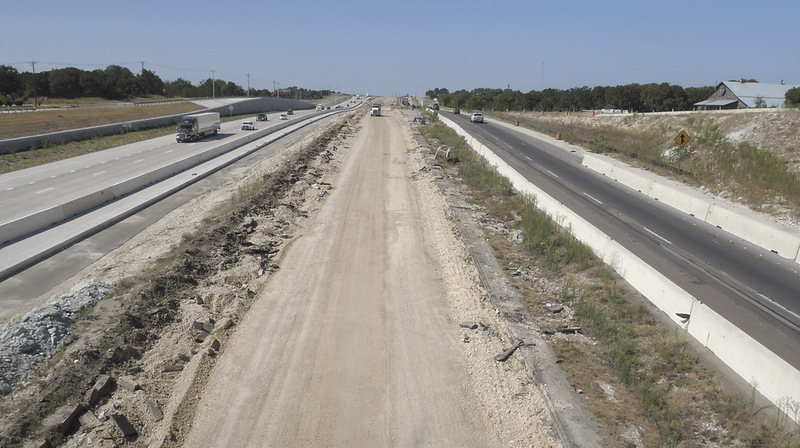 Looking north from the FM 2114 overpass. Here work on the main lanes is nearly complete. The wide right shoulder just needs to be restriped to add the third lane. Here traffic is still on the original traffic lanes. 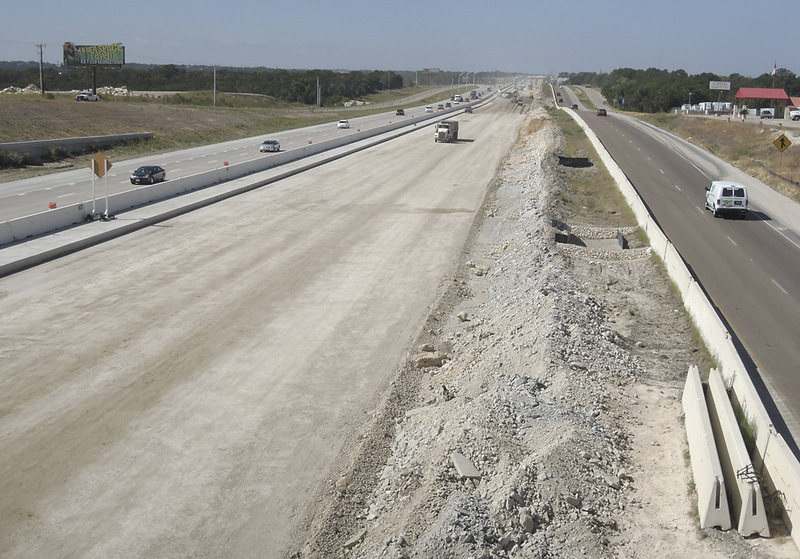 The new pavement for the northbound lanes is visible on the left. There is no construction in progress in Waco, but the brand-new McLane Stadium at Baylor University is alongside Insterstate 35. The first game at the stadium was played the weekend after this photo was taken. 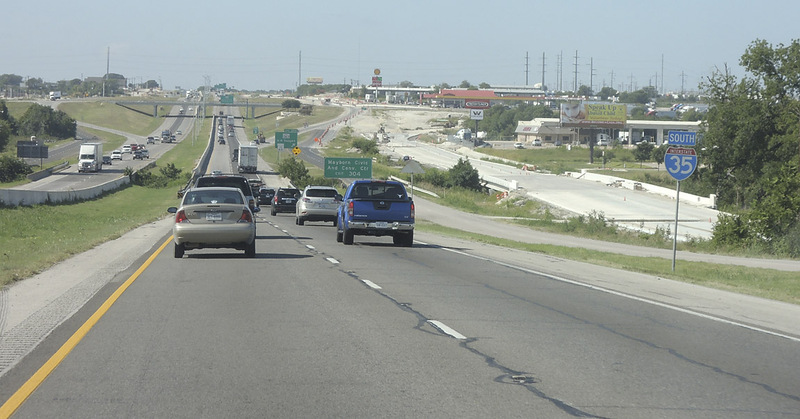 South of Waco, many overpasses have the names of the cross-streets in large text. 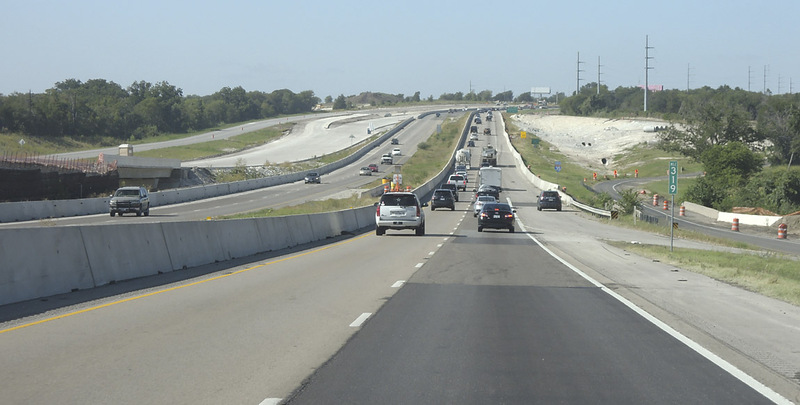 Approaching FM 1695, southbound traffic is on the original pavement with the new pavement being installed to the left. 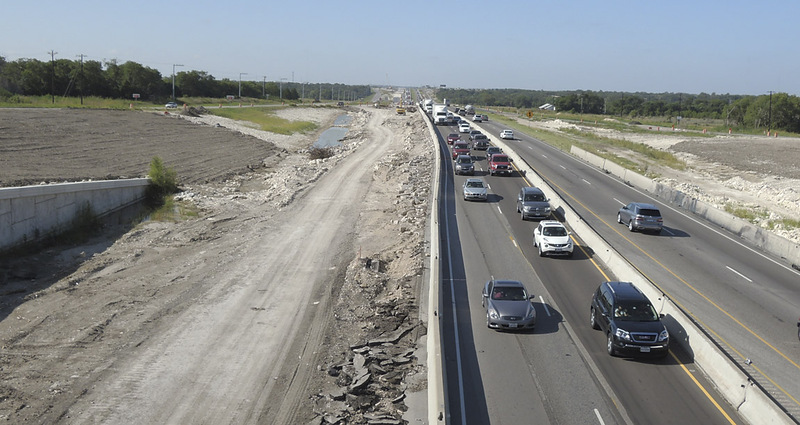 Looking southbound from the Hewitt Road overpass. Another view looking southbound at the Hewitt Road overpass. Looking south at Old Lorena road. Work is in a more preliminary phase at this location. At mile marker 319 the original pavement is still in use, with new pavement for the northbound lanes visible on the left. Here the new pavement is on the right. This is on the north side of Temple. 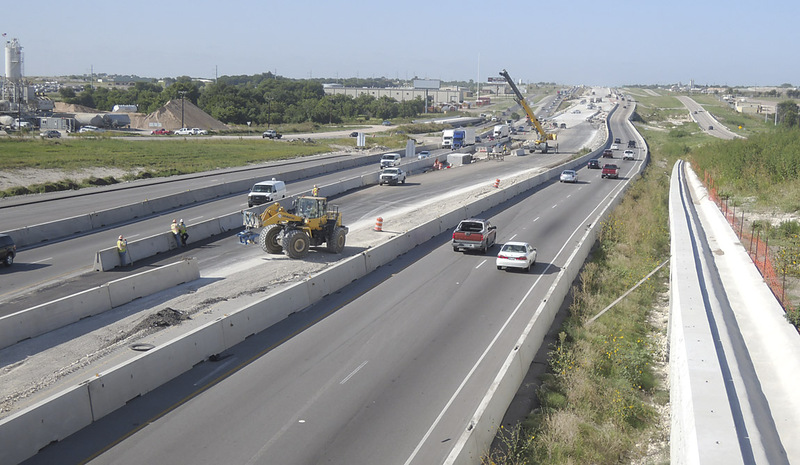 Work is still in an early phase, with frontage road work visible on the right. This is in Temple. Right-of-way has been cleared to widen the elevated structure. I don't know if the existing structure will be retained or if everything will be new. 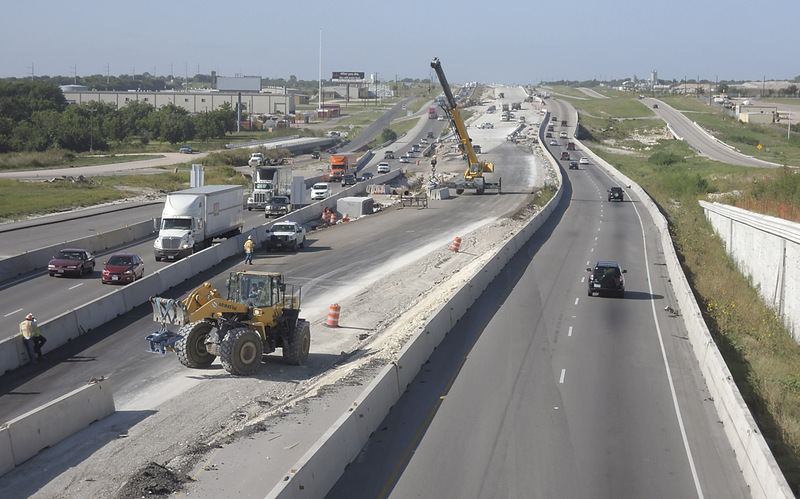 Ramp under construction at US 190 in Belton. 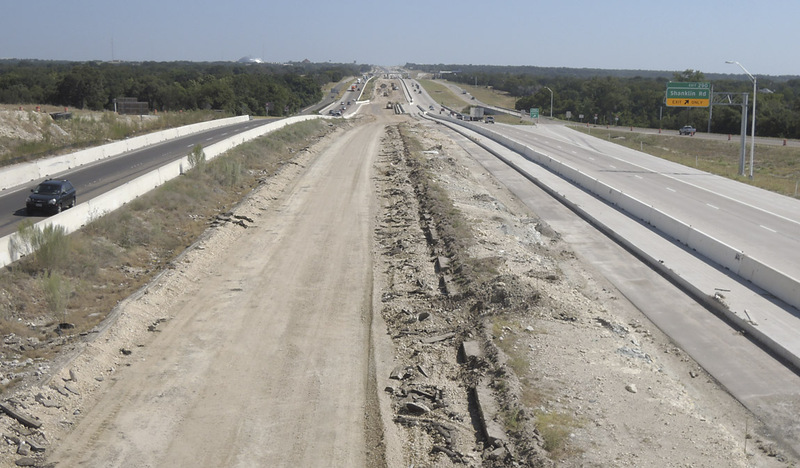 Looking south from the Shanklin Road overpass south of Belton. Another view looking south from the Shanklin Road overpass. 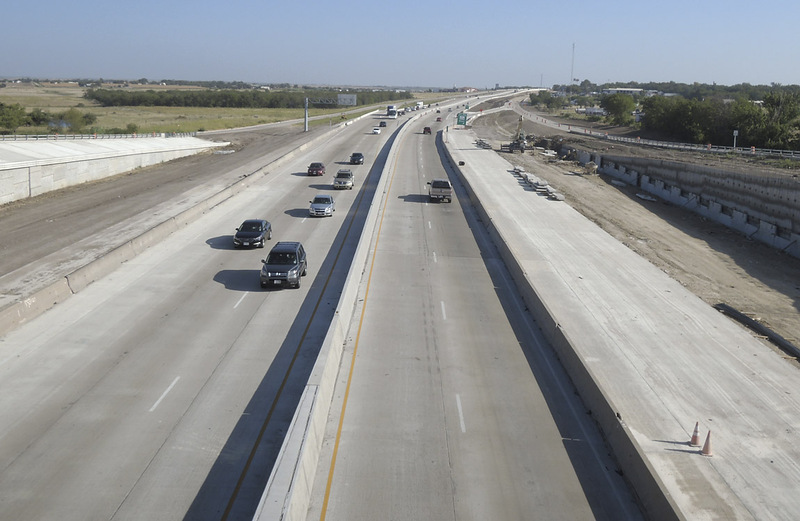 Looking north from the Shanklin Road overpass. Looking north, one intersection south of Shanklin Road. Near the south end of the construction zone.